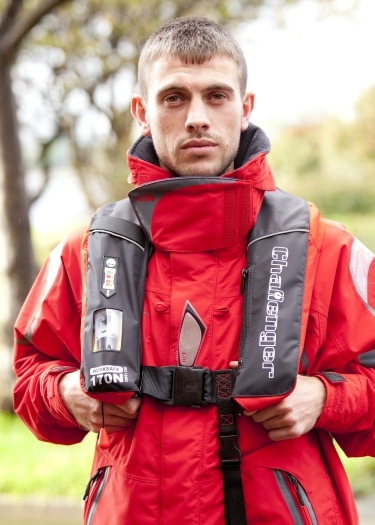 The Challenger Worksafe & Worksafe Pro Lifejackets are specially designed for when heavy duty clothing or protective gear is also being worn. 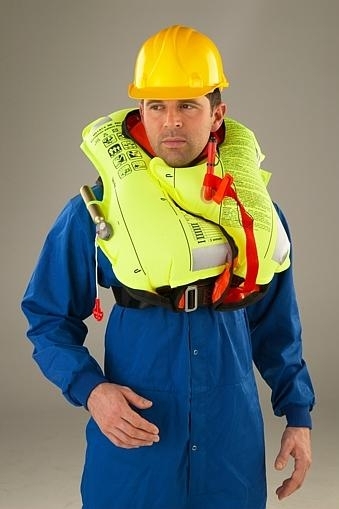 Designed to be easy to don, the Challenger Worksafe & Worksafe Pro Lifejackets are also comfortable and unrestrictive to wear. If work being carried out requires fire proofing, such as welding, the Worksafe can be fitted with a fire proof cover. The Challenger Worksafe Pro has been ergonomically designed with a slimmer fit and comes complete with a zipped cover and storm flap. The Worksafe Pro also benefits from a mesh back for breathability, making it even more comfortable to wear. In addition to this, other innovative standard features include an integral pocket to stow the crotch strap when not in use, a zipped pocket, neo neck style for added comfort and a radio attachment strap. Both the Challenger Worksafe & Worksafe Pro incorporate the patented interlocking lobe design of bladder which self-rights the wearer in under five seconds, even if they are unconscious and providing an effective Wave Barrier which prevents water from being channelled into the wearers airways. The Challenger Worksafe and Worksafe Pro are both available in 170N and 300N buoyancy options. Equipment: single chamber fully automatic or manual gas inflation system, retro-reflective tape, whistle, lifting loop. Lightweight, comfortable and unrestrictive when working. Single point indicator Op. head with window.